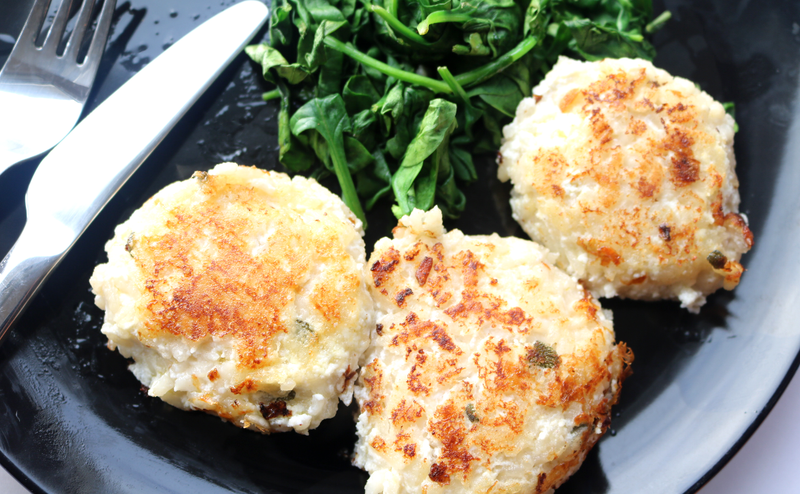 If you're looking for a vegetarian starter or side to accompany your Christmas dinner spread this year, why not try making these tasty Sage & Ricotta Rice Cakes? I was browsing through some old Waitrose magazines the other day and came across a recipe which I think is perfect for this time of the year. It features the rather festive Sage, a herb that's often used during Christmas in many meat-based dishes, as well as in classic stuffing recipes. 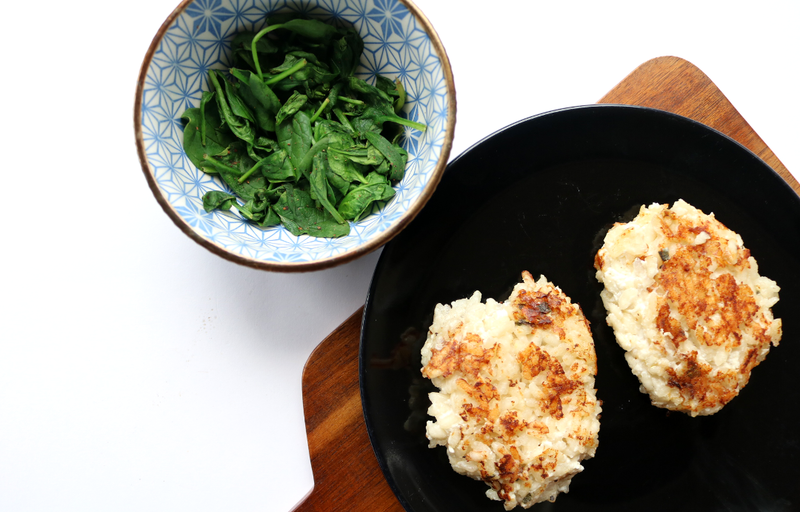 Sage is a strong and slightly bitter herb, so a little goes a long way and it really helps to add a boost of flavour to this Ricotta based rice cake dish. These rice cakes are quite filling so the recipe below will make adequate starters for 4 people, or you can make smaller patties and serve them on a plate so your guests can help themselves. Heat 1tbsp of Olive Oil in a frying pan, add the Risotto Rice and sliced Salad Onions and fry for 1-2 minutes. Add the Sage and gradually pour over all of the Vegetable Stock. Cover with a lid and simmer for 15-20 minutes until the rice is tender and all of the stock has absorbed. Remove from the pan and allow to cool. Mix the Ricotta into the cooled Risotto Rice, season with a little Salt & Pepper and then mould into 4 large patties or 6-8 smaller ones. Heat the remaining Olive Oil in a frying pan and fry the rice cakes for 2-3 minutes on each side, until golden and crispy, and warmed fully throughout. Serve with wilted Spinach sprinkled with a pinch of Ground Nutmeg. What do you use Sage with?